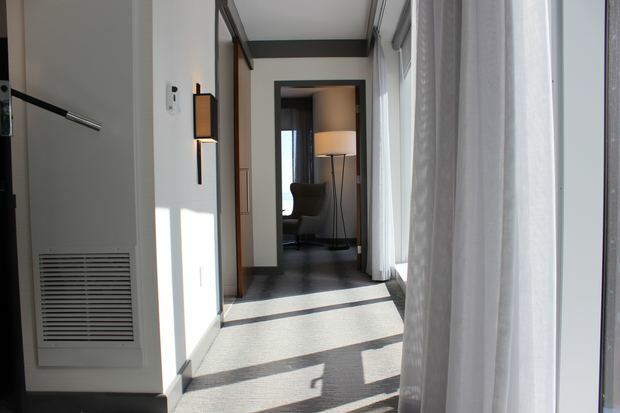 The new Loews Chicago Hotel, 455 N. Park Drive, opened Monday morning. 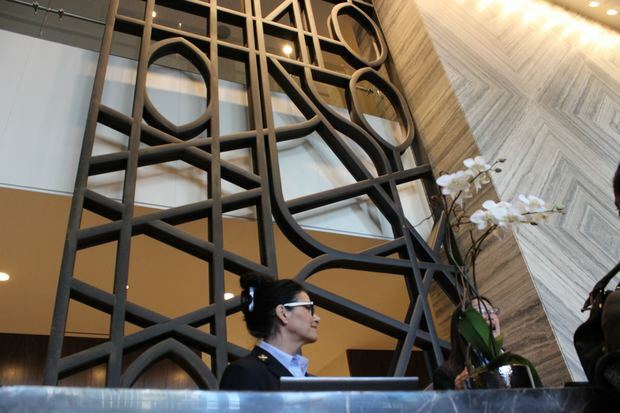 STREETERVILLE — Chicago's newest hotel, though corporate, is far from cookie-cutter. 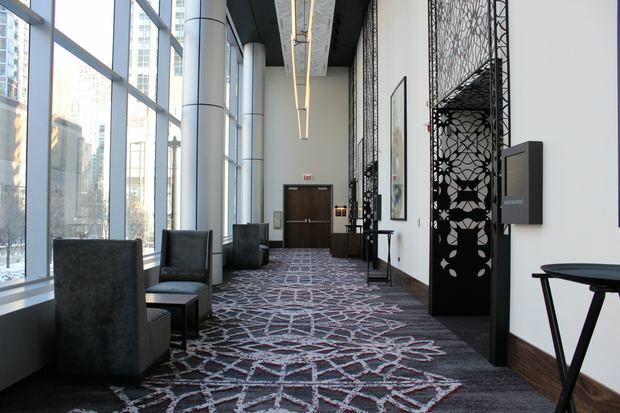 The 52-story Loews Chicago Hotel at 455 N. Park Drive that opened Monday morning includes many decorative nods to the Windy City, including reclaimed railroad tracks in the lobby and script from Carl Sandburg's "Chicago" in the elevators. Designed by Chicago-based Simeone Deary Design Group and Solomon Cordwell Buenz, the 400-room hotel also features a luxury spa and lap pool, "Iron Chef" Jose Garces' Rural Society restaurant, and the largest outdoor rooftop terrace in the city, a 9,000-square-foot third-floor deck called Streeterville Social. The hotel occupies the first 14 floors of the tower, which was developed by a venture led by Chicago trader Don Wilson. Through April 12, a night's stay in the hotel can be had for as low as $130. Luxury apartments fill the tower's upper floors. 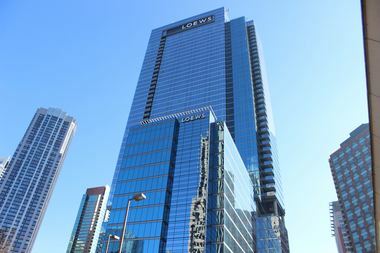 It's the first Loews hotel in Chicago, but Loews Chairman Jonathan Tisch said it's more like a return for his company. During the 1960s and '70s, Tisch's father and uncle owned the Ambassador East and West hotels in the Gold Coast. "For many, many years we tried to come back to this town with quality," Tisch said. Scroll down for a sneak peek inside. 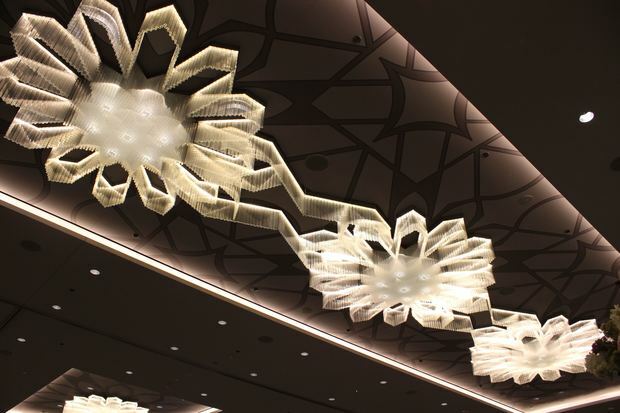 The snowflake motif, a nod to Chicago architect Louis Sullivan, can be found in this ballroom and on the lobby ceiling. 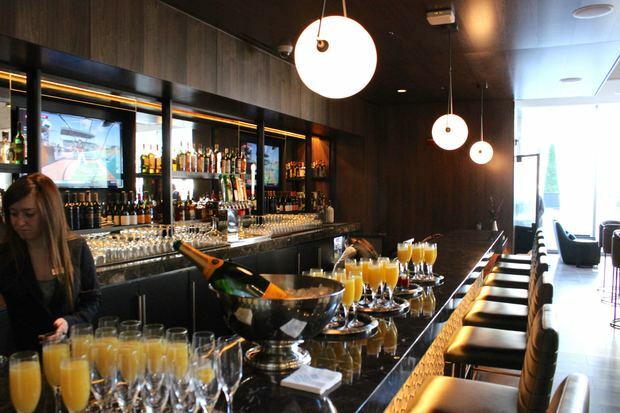 The lobby bar, ETA, opens at 3 p.m. Monday. 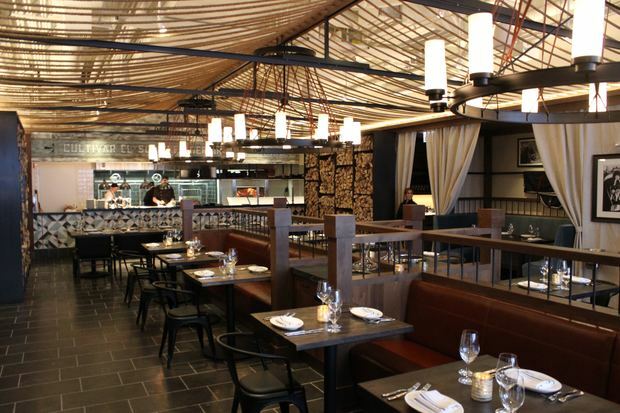 The name is derived from reclaimed railroad tracks used in the lobby's decor. 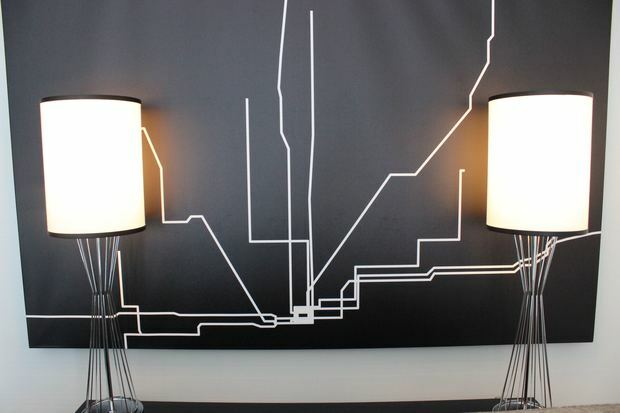 Railroad tracks in the lobby which include an homage to the rebuilding of Chicago after the Great Fire. Script from Carl Sandburg's "Chicago" poem can be found in the hotel's elevators. 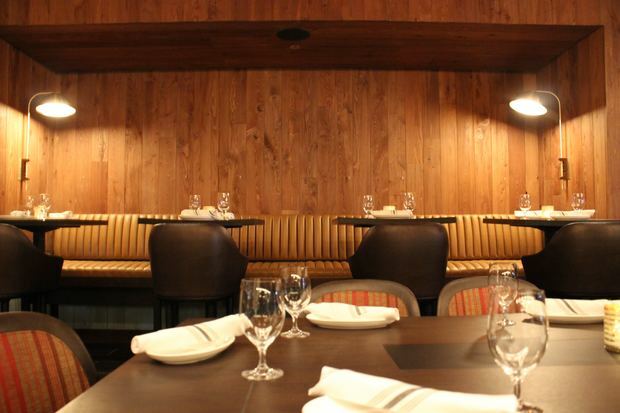 "Iron Chef" Jose Garces is bringing an Argentine restaurant, Rural Society, to the hotel. Rural Society opens at 5 p.m. Monday. 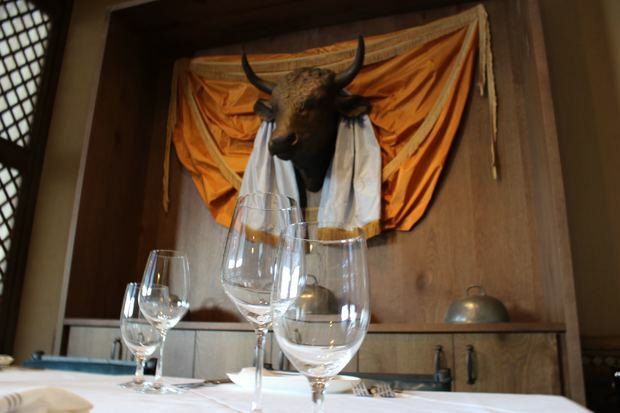 Rural Society is open for breakfast, lunch and dinner. The "lakeview suite" includes a deluxe bathroom with dual vanity and a water closet. 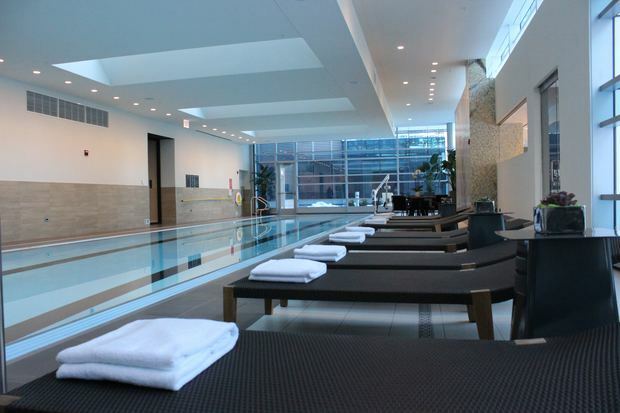 The hotel also includes a spa and 75-foot lap pool. 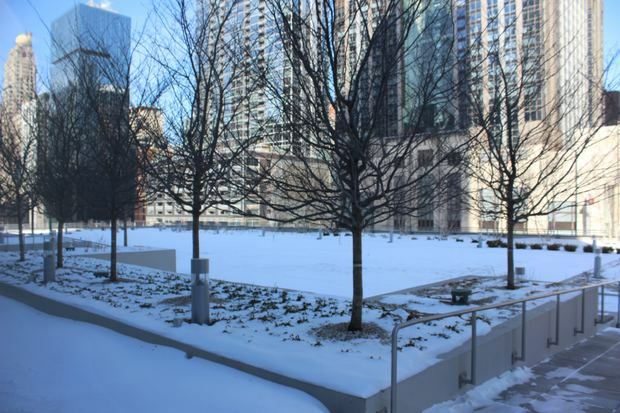 Billed as the largest outdoor rooftop terrace in the city at 9,000 square feet, Streeterville Social wraps around the hotel's third floor and is expected to open in June.